The last hundred years of scientific and philosophical thought have caused dramatic upheavals inhow we view our universe, our spiritual beliefs, and ourselves. 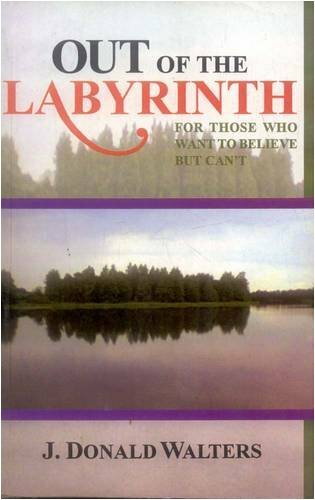 Increasingly, people are wonderingif enduring spiritual and moral truths even exist.Out of the Labyrinth brings fresh insight and understanding to this difficult problem. Waltersdemonstrates the genuine compatibility of scientific and religious values, and how science and ourmost cherished moral values actually enrich and reinforce one another. The last hundred years of scientific and philosophical thought have created dramatic upheavals in how we view our universe, our spiritual beliefs, and ourselves. This book presents fresh insights into this problem. In easily ans acceptable language, the author demonstrates the compatibility of scientific and religious values. He convincingly lays out a new approavh to spirituality.